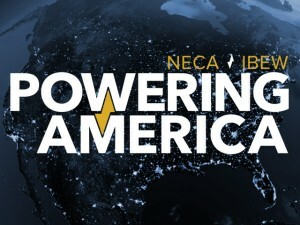 The Powering America Team consists of craftsmen of the International Brotherhood of Electrical Workers and their signatory contractors—including those who are members of the National Electrical Contractors Association, supported by the electrical training ALLIANCE. Avoid emergencies that bust budgets, or incidents that turn into legal issues. For anyone looking to enter the electrical industry, the Powering America team–through the electrical training ALLIANCE–offers one of the largest apprenticeship and training programs in the United States, training more than 350,000 apprentices to journeyman status since 1941. In addition to hands-on training, the ALLIANCE offers coursework that closely parallels a traditional college curriculum. A variety of educational institutions allow apprentices to gain college credit for completion of electrical training ALLIANCE courses, including the recognition and transfer of these credits toward two- and four-year degrees.